The following is a promotional post for Stevia In The Raw®. Our family's time spent baking multiplies around the holidays. Extra treats for parties, extra desserts prepared for guests, delicious homemade gifts, we end up cooking so much. And then elastic waistbands are necessary if we eat even a little of everything we make. When my Grandparents were next door, I was more aware of substituting alternatives to sugar because of their health. Now I'm trying again to be more aware as I cook for my family that healthy substitutions in my recipes can help us all. Enter Stevia In The Raw® Baker's Bag. Stevia In The Raw® provided some recipes for us to try, and I experimented with it in some of my traditional recipes, too. I discovered homemade cranberry sauce, banana bread, and even my morning mug of cafe au lait can taste delicious without sugar when I replaced it with an equal amount of Stevia In The Raw®. The makers of Stevia In The Raw® are introducing decadent recipes that allow bakers and their guests to enjoy seasonal treats with less sugar and calories. From cookies to tarts, these recipes using Stevia In The Raw® Bakers Bag will give you something to be joyful about! I was looking forward to trying the Chocolate-Expresso Pizzelles recipe. The ingredients were all things I already had. But the expresso powder was rancid. I had no idea that could happen, so if you have it in your pantry, take my advice and go smell it. So, as happens often with most of the new recipes I try, I made a few modifications. 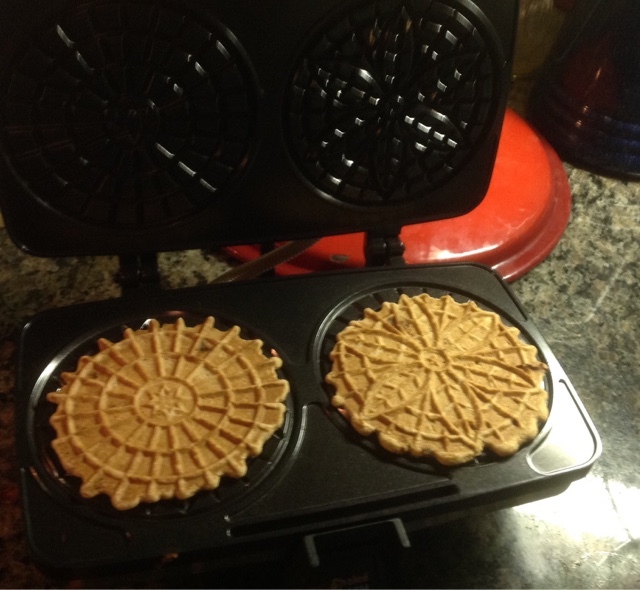 After omitting the expresso powder, my daughter and I made chocolate pizzelles. I read that waffle bowls were easy to make just by placing the hot fresh pizzelles in bowls to form. 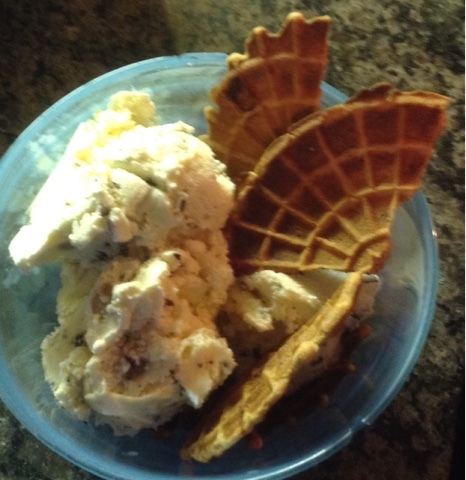 We made chocolate waffle bowls and filled them with ice cream then added extra pizzelle pieces as a crunchy topping. Delicious! Next, we made lemon pizzelles. We didn't miss the sugar in either flavor; the Stevia In The Raw® sweetened them perfectly. Which recipe do you think you'd like to try first? 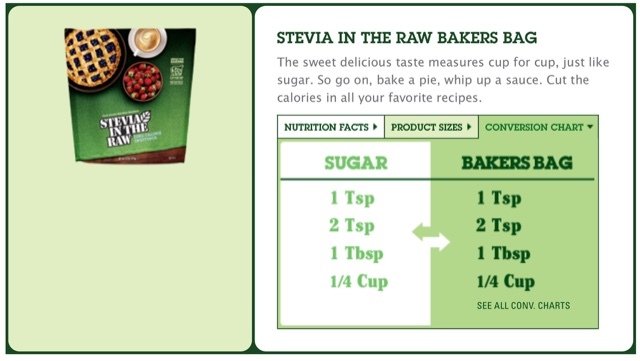 Or would you replace sugar with Stevia In The Raw® in one of your own recipes? It's so easy to use this in recipes as it measures equally like sugar.